The RM Auctions Monaco 2014 sale was held 10 May at the historic Le Sporting Cinema in Monaco, resulting in Rs 339.6 crore in total sales and a sell-through rate of 93 percent. Staged the same weekend as the Monaco Historic Grand Prix, the biennial RM Monaco sale saw at least 10 world auction records set throughout the five-hour event with Ferrari’s clearly showing their dominance as one of the most preferred brand of cars in the classic car arena. Of the 90 lots offered at this year’s auction, top honours, as predicted by the experts went to a pristine 1966 Ferrari 275 GTB/C with coachwork by Scaglietti, originally belonging to the legendary movie star and race car driver, Steve McQueen. 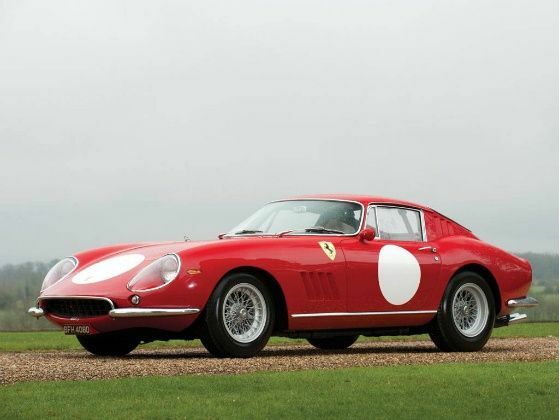 Selling for a staggering Rs 47 crore, the 275 GTB/C bearing chassis number 09067, the ninth of only 12 ever produced and the most original specimen on Earth set the record for the most expensive fixed head Ferrari 275 ever sold. In fact, in an auction that saw Ferrari secure six of the top ten prices paid, the 1959 Ferrari 250 GT Pinin Farina bodied Series 1 Cabriolet bearing chassis number 1181GT secured the second highest bid of the day at Rs 38.7 crore, a new world record for its type. Apart from some very beautiful cars, RM Auctions also sold a 1952 Vespa 125 Farro Baso and a 1981 Ducati 900 SS Desmo. While the Ducati went for Rs 24 lakh, the Vespa sold for a rather remarkable Rs 9.6 lakh. Other more common cars like a pristine 1957 Fiat 500 N, a very rare and very early fixed glass model was sold at auction for Rs 25.3 lakh. There was also a rather handsome 1970 Abarth 595 SS, based on the Fiat 500, which went for a rather pricey Rs 41.46 lakh.